A successful or a smooth relationship is always a two way thing, either it comes to communication or sharing and caring. Author Sophie Kinsella says bestfriends trust each other, values each other, shares and cares between each other. 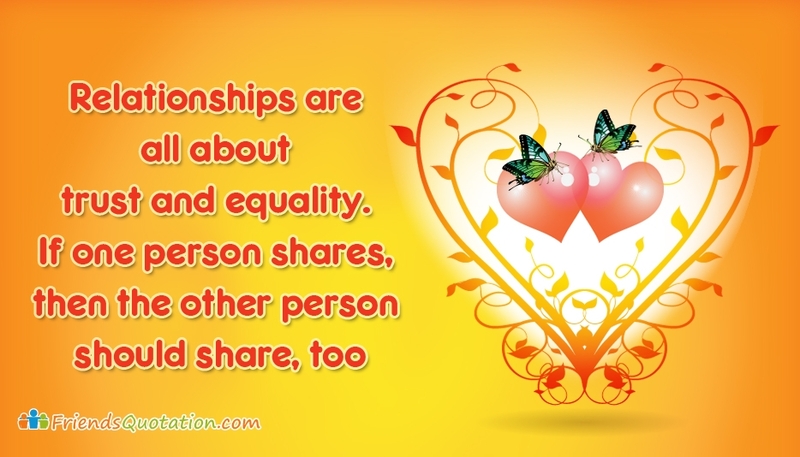 Share this quote "Relationships are all about Trust and Equality. If One Person Shares, then the Other Person should Share, Too" with your dear friends and share friendship.